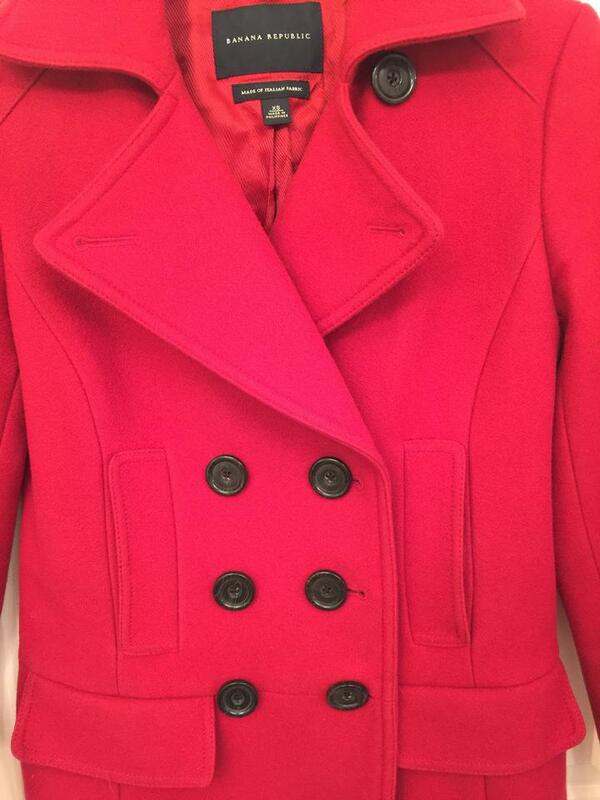 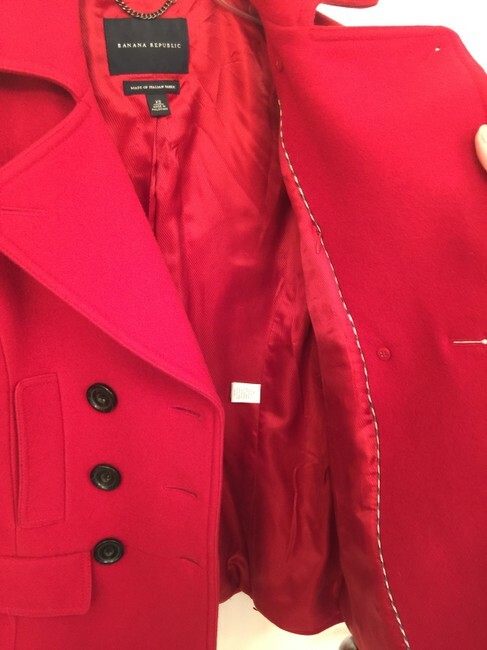 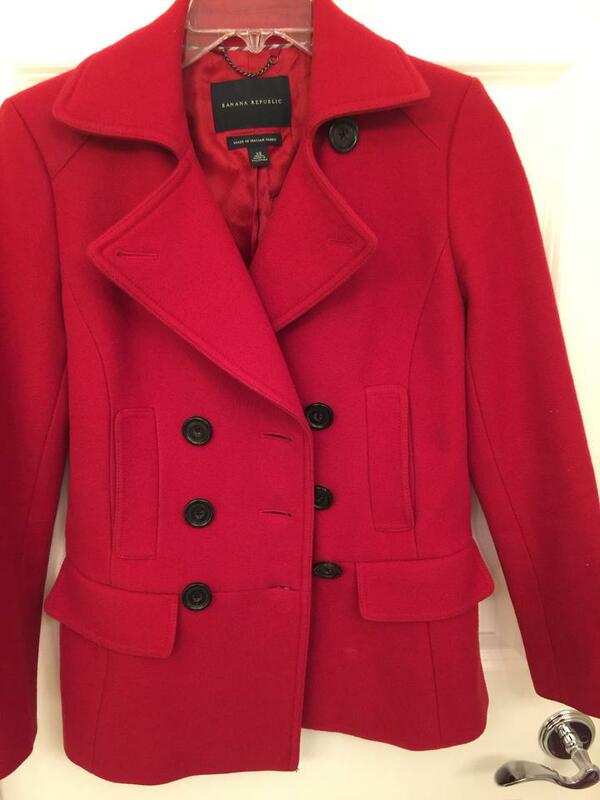 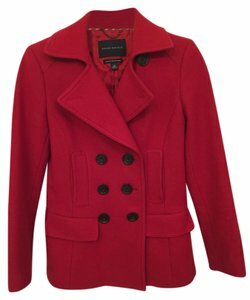 This Banana Republic Wool Red Pea Coat is great for the holidays and will keep you warm in winter temperatures. 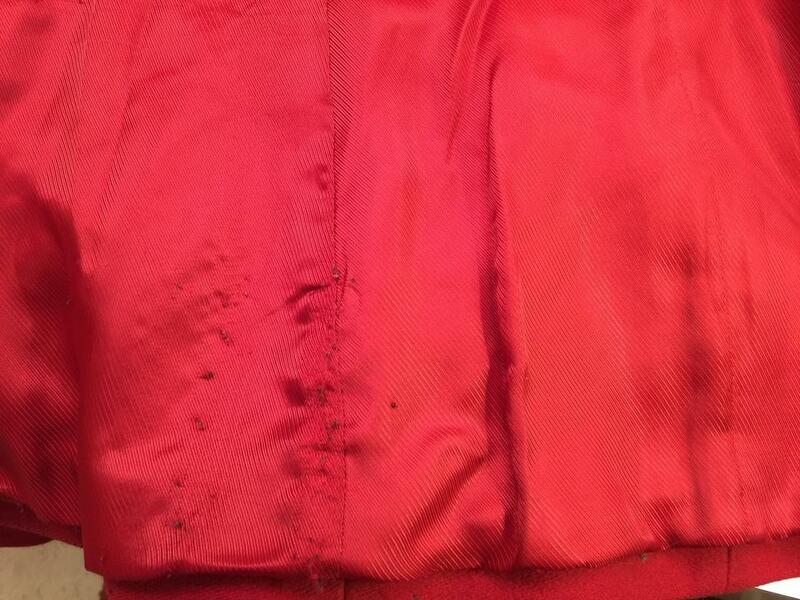 Was only worn one season around 10 times and looks as good as new. 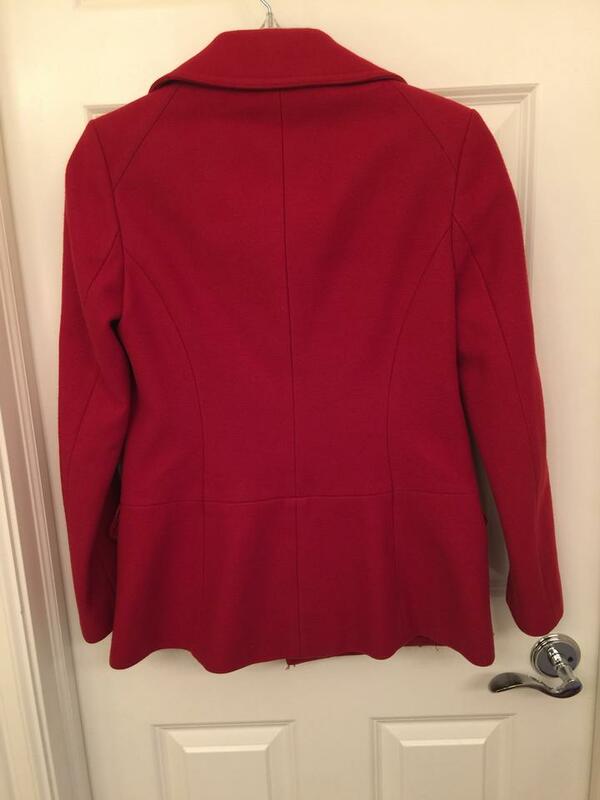 Looks cute opened or closed, and can dress up or down.